Carey Hosterman was born in a little town in Spring Mills, Pennsylvania. Eventually his family moved to Colorado, living first in Greeley, then in Loveland. It was there Carey had his first glimpse of the Sculpture in the Park Show in 1986. During his senior year at Loveland High School, Carey excelled in school work, wrestling and football. He participated in state playoffs quarter finals, set records, earned awards and went on trips with his sports teams. It was about this same time Carey took classes in drawing, photography, sculpting and jewelry making. First time out his jewelry won an award. This success sparked a driving interest in the arts that changed the course of his life. After several stints at after school jobs, Carey landed work with a local bronze foundry. The more experience he gained the more certain he became. 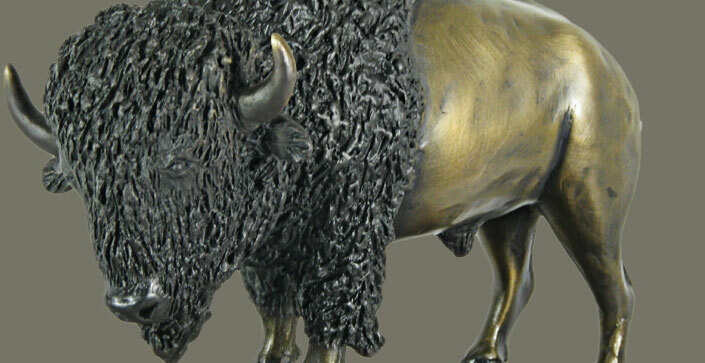 His passion for the bronze industry compelled him in 1994 to open Rocky Mountain Bronze Shop, which has the distinction of being Loveland Colorado's longest running bronze finishing shop. 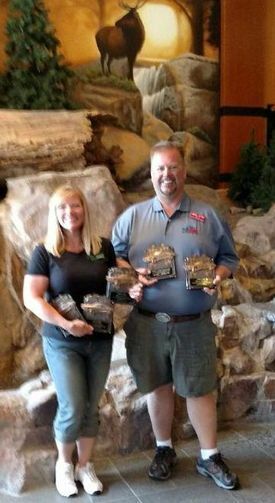 Carey and his wife Amy work together at their bronze shop. Amy keeps their books and paperwork in order as well as delivering stellar customer service. Although the office is her domain, Amy is just as likely to don an apron to help in the shop at nearly any work station. 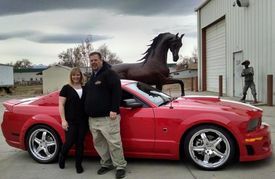 Together they pursue their enjoyment of all things Mustang in Colorado's wide open spaces.